← Music heals the soul! The start of the new Half Term has been a busy one for members of our Choirs. The very first day after Half Term saw us celebrating the Feast of All Saints. Our Choristers and Choral Scholars sang in the morning, and the Minster Singers sang at Choral Evensong. 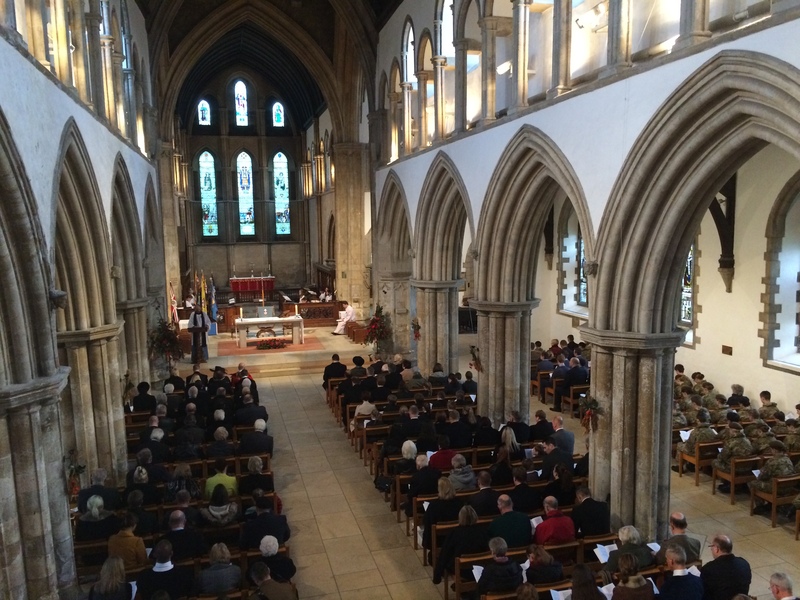 Remembrance Sunday saw the Choristers and Choral Scholars singing to a packed Minster at the annual Civic Service of Remembrance. Especially busy, that day, was Choral Scholar Lyle Mcnally who managed not only to sing tenor in the Minster Choir, but also to carry the standard for his army cadet regiment. Our Choristers and Choral Scholars, after having sung at the Fabulous Christmas Fair. In addition to the regular round of services, the Choristers and Choral Scholars sang during the Fabulous Christmas Fair just ahead of the switching on of the Christmas lights in Grimsby. Less than a week later, and the Choristers sang their first choral evensong for well over a year. 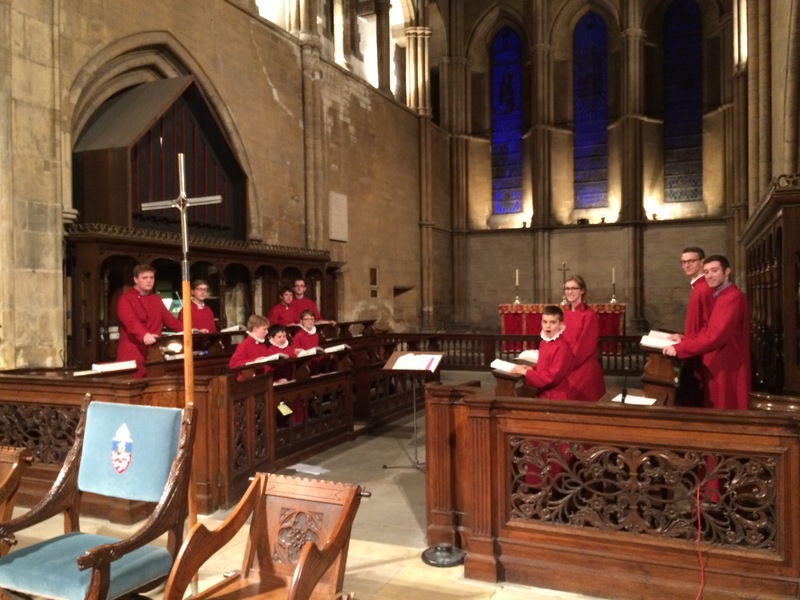 Indeed, for many of our choristers, this was their first ever experience of Choral Evensong. Given that the next few weeks include Advent and, eventually, Christmas, complete with very many additional services, not to mention our annual early-morning visit to the Grimsby Fish Market, it looks like life for our choirs will continue in much the same way! This entry was posted in Uncategorized and tagged All Saints, choir, choral, choral evensong, choral scholars, choristers, Christmas, evensong, Fabulous Christmas Fair, Grimsby Minster, lights, Minster, Minster Choir, Remembrance, scholars, Sunday. Bookmark the permalink.